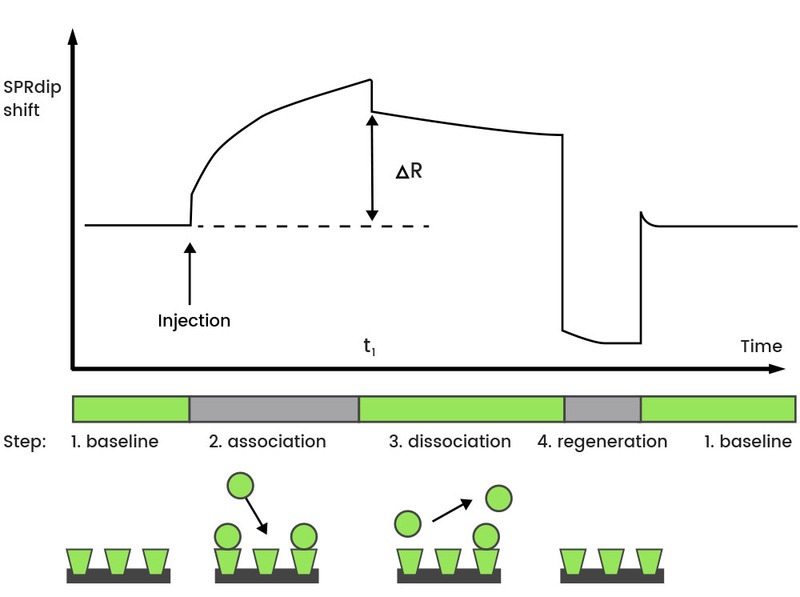 During the last decade, due to the ability to detect highly dynamic binding events, Surface Plasmon Resonance (SPR) has been intensively used in interaction studies involving life science research, drug discovery, electrochemical analysis, food quality and safety, environmental science, and chemical sensor development. SPR can be used as a primary tool to screen interacting partners or as a validation tool for interactions previously identified by other methods (yeast two-hybrid, co-immunoprecipitation, pull-down). 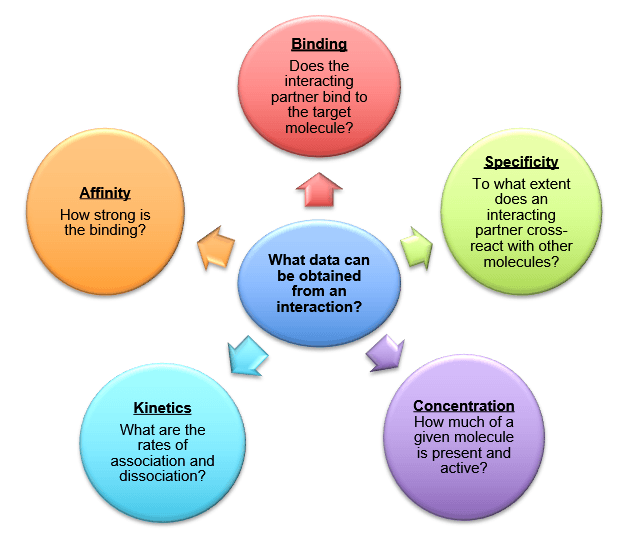 The determination of the affinity or kinetics of an interaction, as can be done by SPR, is fundamental to understanding the nature of binding at the molecular level. 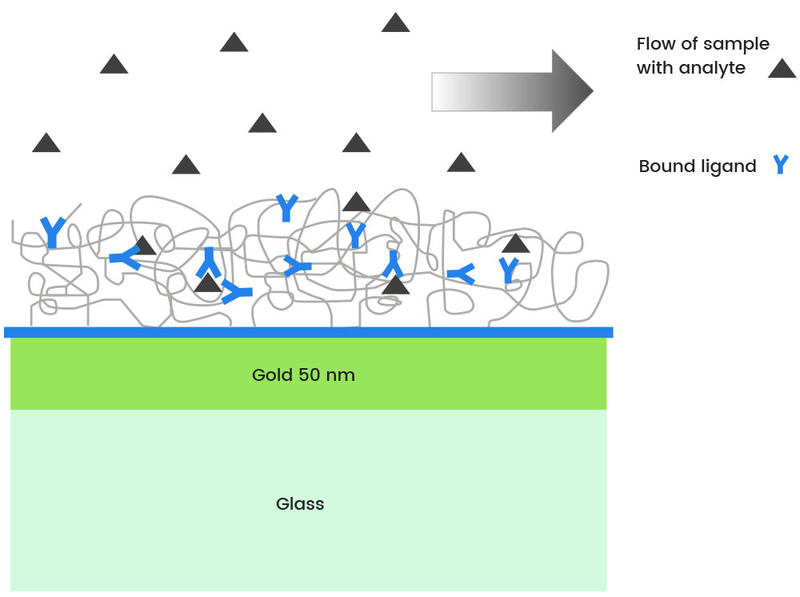 This in vitro approach is able to detect both weak and strong interactions ranging from the millimolar to the nanomolar range. Creative BioMart provides customized SPR service in biomolecular interaction analysis, involving any kind of molecule, from organic compounds to proteins, nucleic acids, glycoproteins, and even viruses and cells. Our service includes (i) the immobilization of proteins or other molecules to be tested on sensor ship, (ii) analyte-binding analysis, (iii) affinity/kinetic measurements, and (iv) data analysis. We are good at evaluation of macromolecules, equilibrium measurements (affinity and enthalpy), kinetic measurements and analysis of mutant proteins.